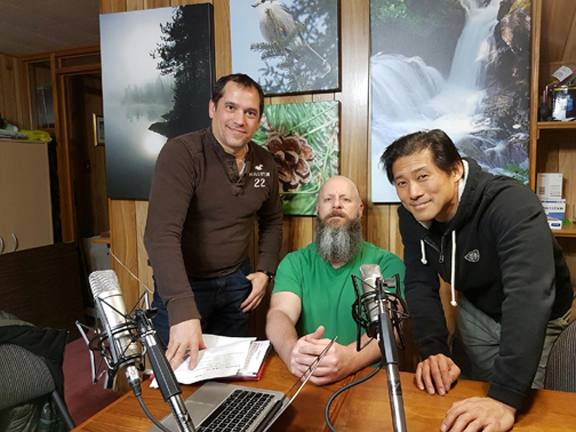 This week David Lee, aka The Passionate Paddler, joins us to talk about the 150 For 150 event being held on Canoe Lake in Algonquin Park on June 25. David also talks about some of Eureka’s tents, including their new NoBugZone Mesh Room. This week we talk about Ice Canoe Racing. Yup! Special canoes designed for racing on ice. As well, since this is Canada’s 150th birthday, we are looking at the Voyageur Brigade Society and the brigades (journeys) they have planned for summer 2017. This week we talk about long lasting outdoor brands. There are outdoor companies out there that have been around for over 100 years. Next, we let you know what is happening at Paddling Adventures Radio. Finally, we chat a bit about what to think about if you want to go tripping on a stand up paddle board. Yes, a canoe is not necessarily needed! Listen to Sean and Derek as they discuss the practice of putting a tent on a canoe or kayak and never leaving the waterway. Next they discuss some of the winter activities fellow paddlers are taking part in during the off-season. Finally, they look at paddling destinations in the southeastern United States: Tennessee, Georgia, North & South Carolina.